Inspired by traditional hiking styles, this winter boot comes with a padded leather insole and an interchangeable shearling insole for colder temperatures. 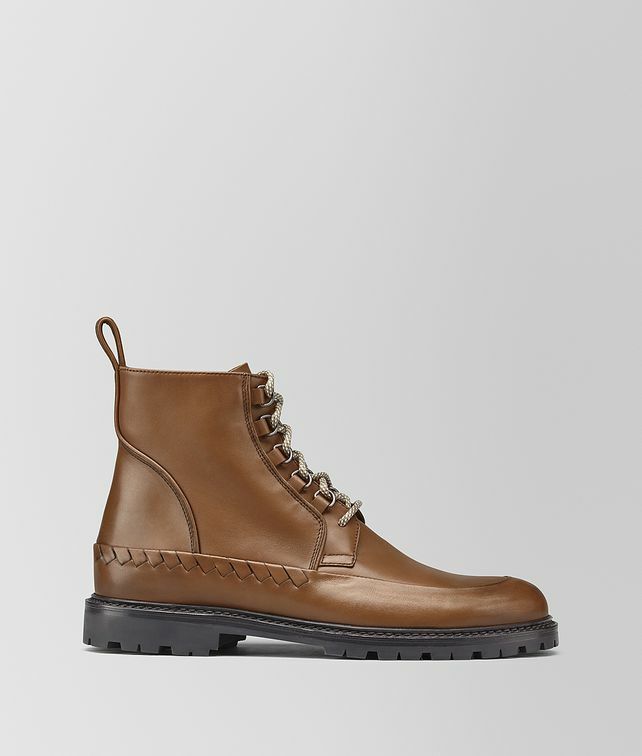 It is crafted from sturdy Tuscany calf leather with a dark patinated toe and set on a rubber lug sole. The pair features seamless intrecciato detailing—a feat of craftsmanship—and bi-colour laces as well as an additional set of tonal laces. Finished with leather pull tabs.